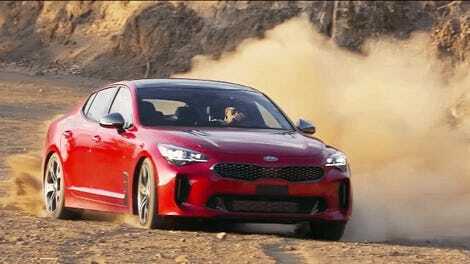 I’ve gotten a ton of emails from you fine readers regarding the new Kia Stinger GT. Most of them go the same way: “Is the Stinger GT worth the price?” When compared to new cars the Stinger presents an incredible value, but if you look at what kind of used hardware you can get the equation changes a bit. With a 365 horsepower twin-turbo V6 and rear-wheel drive, the Stinger GT is a strong performance value. The 2.0-liter four with 255 HP isn’t bad either. A Stinger GT will set you back $39,000, which is a solid value, but our last loaded press tester topped $50,000, and that’s a bit more questionable for sure. It’s not especially fair to compare new cars to used ones directly in car reviews. But this isn’t a car review, and realistically, buyers out there have options. Many enthusiasts are more educated than your average buyer, and they know what’s out there. If they’re looking at a Stinger, odds are they’re looking at solid used options too, including high-performance BMWs, Audis and more. Of course, the MSRP of the new Kia Stinger is just part of the story. Many of you have echoed what I predicted in a previous post—that the Kia dealership experience is making it very hard for potential buyers to even get behind the wheel. There is also a Kia Stinger Forum with all kinds of tales markups and your typical shady sales tactics. As these buyers get frustrated with the market for the Stinger, naturally they are going to start to look elsewhere. So let’s look at some of those alternatives. The price of a fully loaded rear-wheel drive Stinger GT2 also puts you into a nice, low-mile, 2016 BMW M3 that packs 425 horsepower and is available with a key feature that Kia forgot—a manual transmission. Or, if you can do without the third pedal and prefer to dial back the horsepower to match some of the technology in the Stinger, $50,000 can also get you a 2017 C43 AMG with less than 10,000 miles. But you don’t need all that fancy stuff, if you just want a good helping of horsepower and style, the Stinger GT with the twin-turbo V6 will set you back a little less than $40,000. Or you can have both the four-door hatchback body and a 300 HP turbo-six with a certified pre-owned 2018 BMW 440i Gran Coupe that originally retailed for over $50,000. If the BMW is too common, $40,000 will also get you a Cadillac ATS-V coupe. While the Caddy lacks a couple of doors it makes up for it by packing 464 horsepower from its twin-turbo V6. That’s 100 more horses than a Stinger GT, and it’s an objectively better handler too. 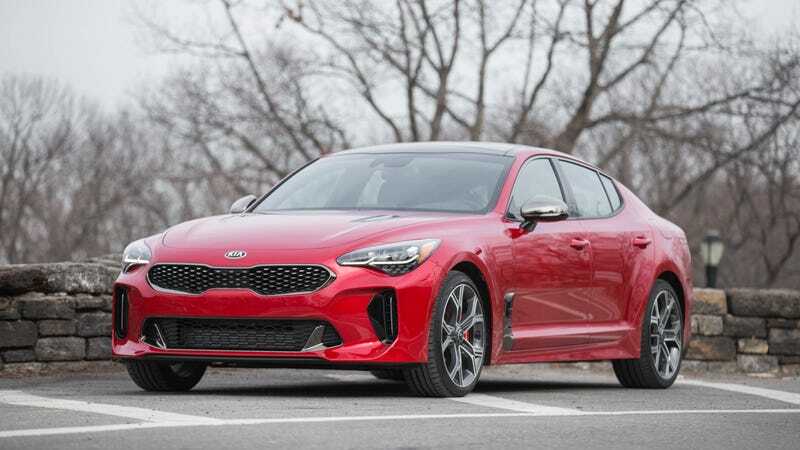 Also, if the Stinger suffers the same depreciation rate as most other high-end Korean cars, that could mean some dangerous financial situations for buyers that financed them brand new and didn’t use a massive down payment to maintain positive equity. That steep depreciation means the Stinger will be the car to buy in two or three years, but someone has to be willing to shell out new car money if the rest of us cheapskates hope to catch a value down the road.